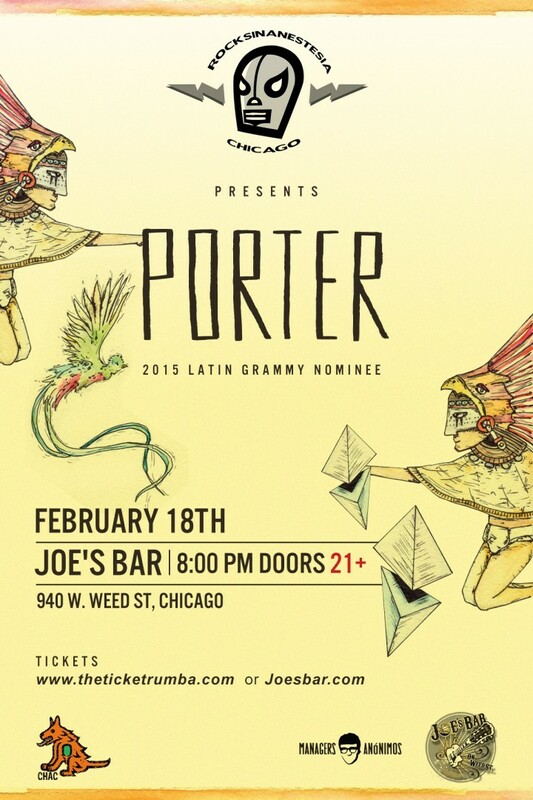 PORTER at Joe’s Bar on Feb 18 – WIN TICKETS! Rock band Porter, who kicked all kinds of @ss at last year’s #RuidoFest, is coming back to Chicago for a performance at Joe’s Bar on February 18 thanks to Rock Sin Anestesia (88.7FM WLUW). Thanks to the generous folks of RockNRollCircus, we are happy to be giving away some tickets to the show! Yeah! What do you have to do to win them? Begging works. Cash. Champagne. Gold. Diamonds. All you have to do is REPOST this article and tell us WHY you deserve these highly sought after tickets (and tag Gozamos, of course!). That’s it! Winners will be picked at random (based off the above) and notified via Facebook Messenger. Got it? Good!